Note: two interviews appear on this page: Ronnie Hampton and Chad Sellers. April Grayson: Could you state your name? And can you tell me a little bit about the place you work? 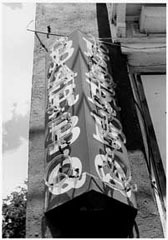 The name of the business is? Two years. Well, a little over two years. Had you worked in barbeque prior to this? Who taught you the BBQ business? Bobby did. Bobby Sales (sp?). Who is Bobby? Was he the original owner? Is he part of the business at all anymore? He gave it over, he sold it to Chad. Chad runs it now. So what was the process of you learning to do BBQ from Bobby? He showed me how to fire the hogs and how to watch them and see when they go to start dripping. How to fire them then. How much fire to put under them, and this and that. 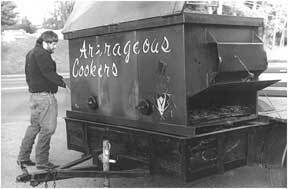 Could you tell me a bit about the type of barbeque you do and the type of cooking process you use? Well, we put the hogs on early in the morning, and I start firing them every 30 minutes for three times. Then I go to 45 minutes, and then when they go to dripping, I go to every hour. You cook the whole hog? Does it matter what kind of wood? Well, mostly hickory and oak. Kind of mixed right now. We try to use hickory ‘cause it makes better coals. Better coals? Does it affect the flavor as well? Do you like hickory flavor better? And where do you get your wood from? The sawmill. We got a man that brings it from the sawmill. And it’s the scrap wood that’s left? Can you describe those cookers you use? JY: [points to three shovels next to the cookhouse.] Can I ask you? This is your sand shovel. JY: This is for coals? Yeah, both of ‘em are. JY: Both of these for coals? You still use that one even though [the handle is burned]? Um-hmm. I’d rather use that one. That one in the middle there holds more. JY: This one holds more? JY: Do you wear gloves when you do it? Is that why it’s all caked up like that? 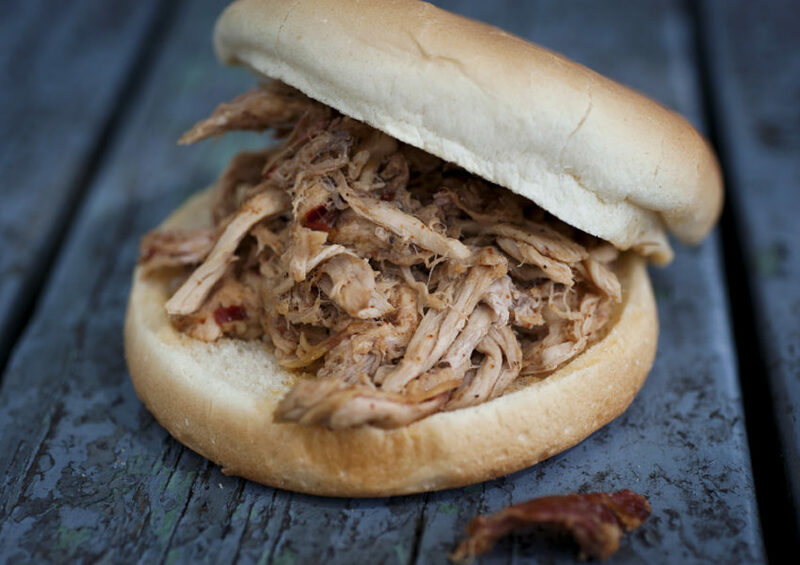 Were you a barbeque fan before you started cooking barbeque? Can you describe a typical day preparing barbeque here at Bobby’s BBQ? I just start out with the hogs and bring ‘em back and put ‘em on the pit there, and I start firing ‘em every thirty minutes for about two hours. Go to forty-five minutes in four, five, six hours, then I go to an hour. Where do you get your hogs? What kind of prep do you do to them before you put them on the fire? We take and cut ‘em in the middle so they’ll lay down flat, then we cut the legs off, then we put ‘em on the pit. Can you describe the pit? Would you call that an open pit? How do you cover it? Well, we got tin on it, then we got the tarps on it. Um-hmm. Them tarps hold the heat in, so they’ll start warm all night. Do you know about what temperature it cooks at? That’s a little over 200, I think 250, I ain’t sure. Something like that. So you let it cook for how long before you do something else to it? Fourteen hours you leave it alone, and then what’s the next step? Well, the next morning when we come in, we flip it. Then it’s ready to take inside for them to start serving. Then we start all over again, put another hog on, start cooking it. So your work day is about how long? And how many days a week do you do that? And Chad does it the rest of the week? No. He does it on Wednesday when I’m not here. He just keeps ‘em warm, puts a little fire on ‘em every now and then. But I do all the cooking myself. I work on, I start on Tuesday, then Thursday and Friday. So how often do you have to change the coals, or add coals? Well to start with, every 30 minutes, for about three times. Then I go to 45 minutes for five or six hours, then I go to an hour. About 14 hours, we don’t fire ‘em no more, ‘til the next day. We’ll take and flip ‘em, then they’ll be ready to serve. So, at what point do they start dripping? Late in the evening. About, at least ten hours. Ten hours into the cooking? 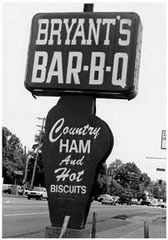 Ok. Do you, is this the way that other barbeque places in the area cook, or do you think yours is distinctive? Do you think this has a better flavor than other kinds? 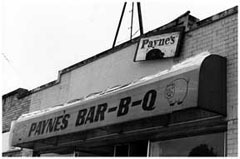 Do you try barbeque at other places around here much? (laughing) I wouldn’t do that! Ok, nice to meet you. He’s the one that taught me how. Great. Well, thank you very much. April Grayson: Chad, can you tell me your name and the name of your business? 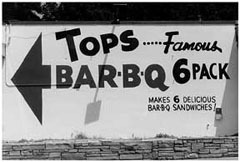 Chad Sellers, and Bobby’s Barbeque. And can you tell me just for the record, when and where were you born? I was born in Jackson, Tennessee, born (sic) and raised in Lexington, back in ’69. How long have you been in this business, and can you tell me how you got started? I’ve been in it a year and a half, owning the business. I started with my daddy-in-law, Bobby, who’s helping me today. He got us into it. 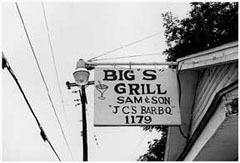 He’s barbequed in the past, and the opportunity became available so he got us into the business. He helped us get started and taught us what we needed to know and kind of got us going. And then we bought it from him. About four months after we started with him, we bought the business from him. Sandy and I own it now. Yeah, did you talk to her a little bit earlier? Yeah, the only reason he went back into it was to help us get into it. So how long ago did the business start? Well, he owned it about ten years ago. I guess about eight, nine, ten years ago he owned the same business. I think he was in it about a year, barbequing and did real well, and decided to do some other things and sold it to the people that had it before we took it. He’s just barbequed on and off on the side for family gatherings and that type of thing, nothing as far as business except for about ten years ago for about a year. I was interested in leaving the job I had and having my own business. 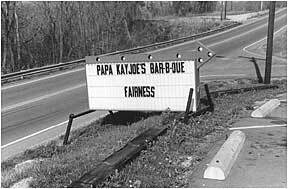 Barbeque was something I’d talked to him about, and this place became available, so we discussed it and we took it. That’s how we’re in it today. 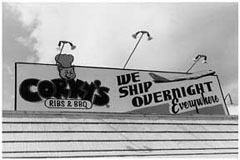 Was it called Bobby’s BBQ the whole time? No, unh-unh. It was Bobby’s under him. 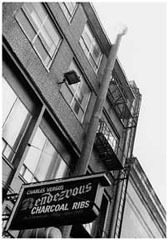 It changed to L&L Barbeque for seven, eight years. Then when we took it we changed it back to Bobby’s. 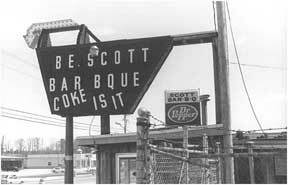 We’re switching it from Bobby’s to Old Time Barbeque slowly. 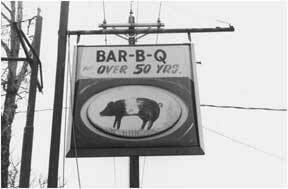 We’ve gone from Bobby’s BBQ to Bobby’s Old Time BBQ, and it’ll eventually change to Old Time BBQ. Course he’s helped us, and his name’s Bobby. He’s helped us, so we want to try to keep him as much a part of it as we can. Can you describe the barbeque that you serve here and what makes it special? Ok, we’re gonna have to quit. Pausing while Chad has to go in and serve lunch. We’re back with Chad now. We’re here. When you went in, I was asking you to describe the kind of, the style of barbeque you cook here and how you serve it. 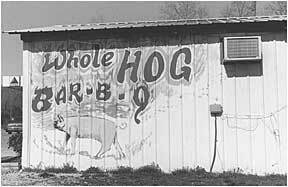 We serve whole hog barbeque. We cook it the old-fashioned way over the wood coals, and it takes approximately 24 hours to cook. Fourteen, fifteen, and then we turn it and let it set another eight or so. But 24 hours before we serve meat. Then when we serve it we basically pull it straight off the hog. We don’t chop it unless customers request it. We pull it straight off the hog and put it on sandwiches or serve it by the pound or however people want it. If customers request for it to be chopped, we’ll chop it, but otherwise it’s straight-pulled off the hog. We don’t put any sauce with it unless it’s asked for. We just serve the plain meat. What kind of sauce do you use if people ask? Well, it’s sauce that we make here, been handed down. It’s a vinegar-based sauce, but we put that on there. ‘Course we have a hot and a mild, and we mix it different, and we use a ketchup-based slaw, it’s a red slaw. We put both of those on there—it’s no extra charge or anything, just whatever. 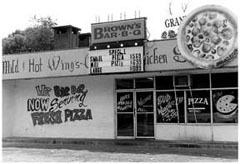 They can get it plain or with slaw and sauce, it doesn’t cost any extra. There’s not a whole lot that we use the red slaw. There’s some but not a whole lot. Is that kind of unique to your restaurant? It’s somewhat unique to us. I think there’s a hamburger place in town that uses a similar slaw. Our recipe, we came up with our own recipe, so it’s not—of course, the slaw was handed down to us when we took the place, and of course we’ve adjusted and played to get it to our liking, but it’s our sauce and our slaw. 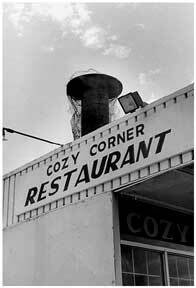 I had a man in the other day that said down in Savannah that he used to use it in a restaurant he used to own. And he was surprised that we had red slaw because he’d not seen it before. Savannah, Tennessee. 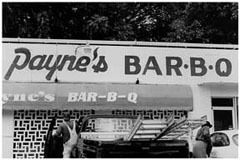 It wasn’t a barbeque place, it was just a restaurant he had. And he was surprised that we had red slaw because he’d not seen it in other places. Yeah, I haven’t seen it. Yeah, from Bobby and from, of course, Bobby got some ingredients and changed and adjusted and handed it down to us. Of course we don’t talk about what’s in our slaw or sauce, although they are simple. I mean, you know, it’s not something major. It’d be kind of silly to do that. So since you’ve been in business have you tinkered with the sauce and slaw? We did, when we first came. We don’t anymore, but when we first took it, we were with Bobby for about four months. Of course, he ran everything then, but once we bought it from him, we did a little tinkering. It’s basically the same. How do you think your style of barbeque fits into the sort of regional tradition? 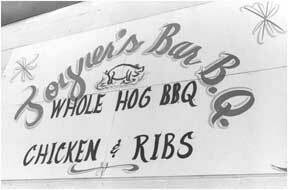 Well, I mean, the whole hog has always been done, cooking on the open pit. It’s just with it being labor-intensive, people have gone to different ways of doing it. Really, to do it, a person’s got to be willing to continue the tradition of what’s going on. 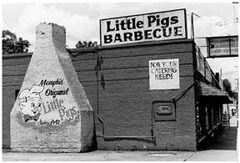 I only know of two or three places—now there’s others, I know there’s smaller places—that are doing whole hog, open pit barbeque, but this place is just well known. It’s got a tradition. So the tradition part is what keeps you doing the whole hog? That’s what will keep us doing it. I’ve never looked into the electric cookers. I’ve been told they’re great. I know I’ve eaten the meat, I know they’re two different things. They’re just two different cooked things. And of course I like this, I like the meat better, I like the taste better, I like everything about it better. But I think there’s something about the tradition. 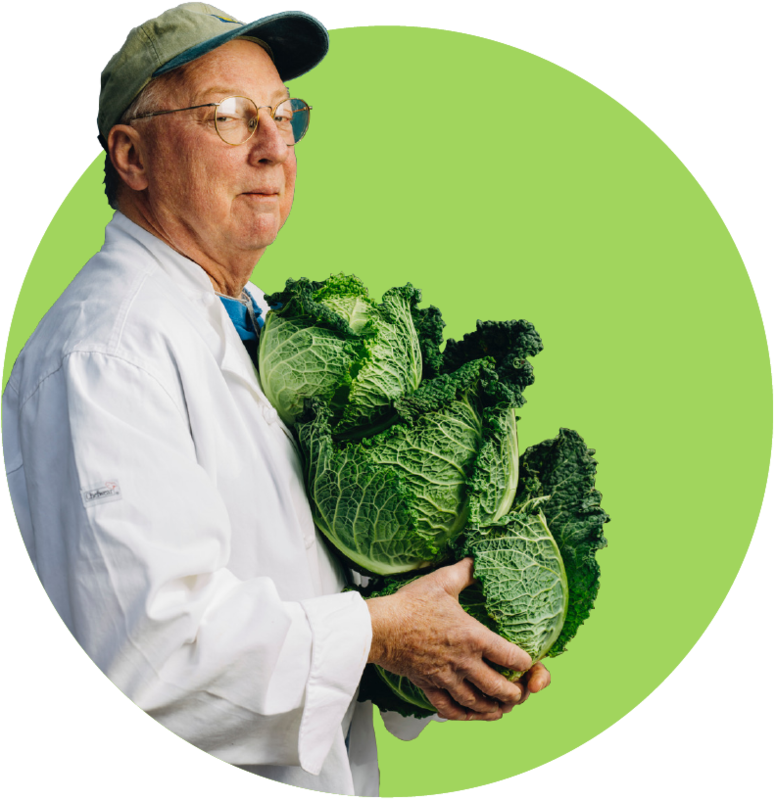 I think I told [Southern Foodways Alliance director] John T [Edge] one time before, you know it’s one of those things that everybody’s going away from for the ease of it. It’s a lot easier to have a box you stick it in and turn it on and come back the next morning and it’s done. But it’s not something we want to do. Yeah, I guess you could say the tradition is something that keeps us going as far as how we’re doing it. It’s something that we, I guess, build our business on, the tradition, or are certainly trying to. It’s also difficult work. I’d love nothing more than to have other stores, but you gotta find people that are willing to do the same thing, and it’s hard to find people that are willing to do that. Ronnie [Hampton] is a good fellow and likes us, likes me, likes Bobby—he’s the one who got him started. He’s just a good, hard worker and has a simple life. He does a good job at it. He definitely does a good job at it. [Laughs] What do you think makes your barbeque distinctive here? I would go back to just what we were discussing, the tradition. Keeping it, cooking it 24 hours. 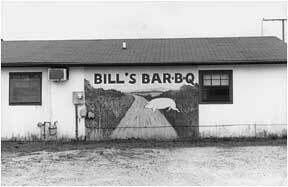 Most anybody that’s gonna cook whole hog barbeque, you can eat it after 15 hours, 14-15 hours, you can flip it and eat it. But we try to put, we put extra time into it and try to make it more tender. Hogs are different. Sometimes you’re gonna get some toughness out of a hog just because of the type of hog it was, but in general, we cook it 24 hours in order to try and make it more tender. And so most places around here probably serve meat a little quicker than we do. The fact that we put a complete 24 hours plus on it, probably is more distinctive than what anyone else is. … Most people are gonna tell you on whole hog, 12, 13, 14 hours, and we cook ours 24. Do you ever enter barbeque contests? No. I wouldn’t, we wouldn’t win. That’s just a whole different ballgame. You know, there’s a lot of people that do those things, and they do a good job at what they do, but I don’t think they could probably do it consistently, week in, week out, and that’s what we do. To take one hog and go compete against a bunch of other folks, I don’t know that that’s our forte, but we do a good job doing it week after week after week. No, we’ve not, we don’t enter contests. Never have, and don’t look to. It’s very diverse. I’ve had a hard time saying whether we’re community-oriented. You know, I’ve just had a fellow call before I sat down with you, and he’s on his way from Memphis. He wanted to make sure we’re open because he’s coming from Memphis and wanted to eat here. We have several people that at Thanksgiving and holidays, they come in here. They’re from California, from Texas, they pick up ten pounds, freeze it, take it back with them. And there are people who came here, either from Freed-Hardeman University or from Jackson, went to college in this area, came here and ate and now every time they come back, they take it home with them. So it’s very diverse, very broad, and that relates back to the tradition quite a bit. Of course, it would be nothing if we hadn’t continued to do a good job. We do a good job of continuing the tradition. But the tradition of that has a lot to say—they used to have it and it was good, it still is good, so they still come. We have a lot of regular customers. I’ve got some folks, that lady you saw earlier, she comes in here three times a week, four times week, and when I open six days a week, she’ll probably come in here five times a week. And we have a lot of set customers come in all the time. On chicken day, on Thursdays, we have people come in here—I mean, we write them down before they ever call, because we know they’re coming. How many hogs do you cook a day, and how many people does that serve? 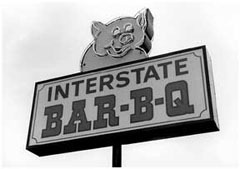 Uh, we cook—of course, barbeque’s real seasonal as everybody knows—but during the winter time, January, February, we average five hogs over three days. I simply don’t know what it is for four days because we just started [serving four days a week] the first of the year. 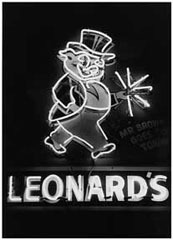 Based on three days—the Thursday, Friday, Saturday we always used to open—we do about five hogs over those three days. In the summer time, we run eight to ten hogs over three days. Now that’s varying some and changing some. Our business has picked up just here recently. We barbeque a little bit bigger hog—we used to 250’s, 260’s [pounds]. We’re running about 290’s now. It gives us more yield out of a hog, more meat. We’re in the range of six right now, and it’s been increasing. But we run about eight to ten in the summer time. People? That’s really impossible to say, but if I were to just take it out, a whole hog would probably feed—you could probably feed, you could make, uh, probably 200 people off a hog, 250 people off a hog. That’s just selling sandwiches, not pounds. But we have a lot of pounds here. 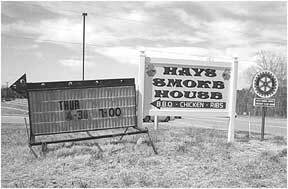 People come here [and order] four or five pounds, especially on the weekends. Going to the river, they stop and they’ll pick up several pounds at a time for family reunion or something. But if I were just to take a whole hog and sandwiches, I could probably get 300 sandwiches out of the hog, depending on the yield of the hog. They vary greatly. Two hogs that weigh the same on foot, by the time they’re slaughtered and they’re cooked and they’re worked, one may have ten to twelve more pounds in it than the other one did. And if you buy hogs that aren’t really meant for barbequing, you can have as much as twenty-five pounds less. I mean, it can vary greatly, and that’s something I found out slowly last year. I was not very wise. 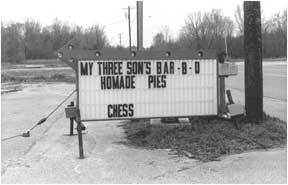 And where do you get your hogs? I get ‘em from Lexington, actually almost to Parsons. 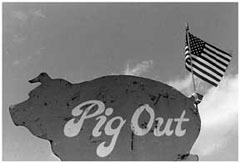 Dale Robbins, he breeds hogs for barbequing, good for barbequing—long, lean hogs, and you get a good yield out of them. He takes them to the slaughterhouse in Lexington, and we pick ‘em up from the slaughterhouse. I don’t do any of the messing around with picking up, you know, live hogs or anything. He just delivers them, and I pay him. We pay him a premium—the prices are higher than what it is per pound everywhere else. But it’s worth it, to us. How do you see the future of the business? Are you in it for the long haul? I mean, you’re young. Uh, next week and a half we’re going to six days a week, and I have brought him on for the purposes, number one, of opening six days a week, but secondly to look at the possibilities of opening another store. I would love nothing better than to take the tradition and try to go back of taking that tradition to places that were somewhat familiar with it. You know, you still have pockets of it. 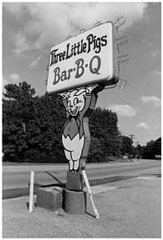 In Lexington, Tennessee, they still have folks who whole-hog barbeque. But for instance, you know, we discussed Memphis earlier, but most of Memphis—and I’m sure there’re some small places there that maybe y’all have not hit or that I don’t know about that are still doing whole hog ‘cause they used to do it—but basically there’s nobody that does it. And, if there is a way to do it, then I would like to try to find that out. And we’ve been looking at it. We have two or three places in mind now, trying to open up a store. And, uh, we’re working with a fellow that we’ve hired, we’re going to train him, and then hopefully next year—it may takes us two—we’re looking at trying to open up another store. And then we’ll continue to expand from there, if the Lord’s willing and we have the finances and things go well. Can you describe a typical day? What’s your work schedule like? I come in on Wednesdays, I get here about 8:30 [am]. I come in about 30 minutes before opening. We move the hogs in, get everything prepared. We open up—on Wednesdays we open up at 9:00, on Mondays and Tuesdays we’ll open up at 9:00 also. On Thursday, Friday, and Saturday, we open up at 7:30. We get here about 7:00. Sometimes we leave the hogs overnight without flipping ‘em, so when I first come in, we’ll flip the hogs that morning. We get those fired up, and then we’ll bring in the hog that we’re gonna serve for that day. And we’ll get all the other things prepared. And then we open the door and then we just basically wait on the customers, cleaning, normal restaurant type stuff as we’re doing that, cleaning the hog. There’s a lot of work. There’s a lot of work in pulling a hog. A lot more work than a lot of folks think there is. I mean, you got fat, you got bones, you got chips of bones. You know, it’s a task, especially when you’re busy, of working a hog. There’s a technique to it. People do it differently, but it’s still a technique. However somebody figures out they’re gonna do it, they do it the same every time. And then when we close up, it’s a matter of, you know, Ronnie carries the hogs—on the first day, he carries them all the way through. On the next days, we do the finishing, I finish them, my wife has finished the hogs. He’ll usually leave about 5:00, and we’ll spend the next two or three hours finishing the hogs—the firing and the cooking of them. So sometimes my wife does that, sometimes I do that, and then we make a decision at that point of whether we’re gonna leave them through the night or whether we gonna go ahead and flip ‘em. A lot of times we leave ‘em and then flip ‘em the next morning. But that depends on how fast they cook during the day, what kind of shape they’re in at the time we get ready to leave about 8:00. Most times I’d say we probably leave ‘em. Sometimes we flip ‘em. For instance, last night the hog started at 8:30. We normally leave at 8:00, but I was here ‘til 10:30 finishing the hog. So we ended up cooking for an extra five hours because the hog just wasn’t ready. It was a larger hog, it simply wasn’t ready to turn, it wasn’t ready to be left, so I had to stay with it until it was ready. How can you tell when it’s ready? The skin begins to break loose, becomes crinkly. [When you] press down on it, the meat basically drops away from the skin, and crinkles up. If you cook it too fast, it’ll do that and still not be done, it’ll be tough. So you’ve got to make sure you do that slowly, but if you’ve cooked slow—13, 14 hours—the meat will usually start dropping away and when you push on it, it’s real loose. You can tell when that begins. If that starts about 8:00, you can leave ‘em and they can cook the rest of the night and be in great shape the next morning to turn. Sometimes if they’re already loose, they’ve been gone a little too fast, and they’re already pressing down, then we’ll have to flip ‘em because they’ll crust and it makes ‘em burn. Just one more quick question, pretty much. It sounds like you have a typical 12-hour day. Is that right—12 to 14 hours? Uh, yeah, now, the thing is that me and Sandy split the days—me and my wife, we split the days. So one of us is always with our children. I’ll come in in the mornings, and a lot of times I’ll leave at 4:00. And I mentioned that a while ago—you know, sometimes, a lot of times, she’ll finish the hogs. She stays home during the day with them—that’s what she prefers to do—so I’ll end up leaving about 4:00 or 5:00 in the afternoon, and she’ll come in about 4:00 or 5:00, and then she’ll stay the rest of the evening. And then we’ll do that Thursday and Friday. Now on Saturday, I’m usually here for 13 hours. I’ll come in at 7:30, and we usually don’t leave ‘til about 8:00—I’ll get here actually about 7:00, and we’ll leave here about 8:00, about 13 hours on Saturday. And I’m here the whole day. Sandy comes in and helps me at lunch and stays the afternoon with us, and our whole family’s here. But we split the Thursday and Friday hours. And then on Wednesday I work by myself, with no help. Yep, I probably put in 9, 10 hours on Thursday and Friday, 13 on Saturday, probably about 10 on Wednesday. Eleven, nine—actually, eleven, ten, seven, five, and three. Yeah, they all turn even this year. Last year they all turned odd, and they were very odd last year. And they all turn even this next year. The first one turned even in March, March 8. The rest turn even the rest of the year.